1) (Marden, co. Surrey, bart.). (Hedgerley Park, co. Bucks). (Lord Mayor of London, 1680). Ar. a cross sa. betw. four pellets. Crest—A leopard’s gamb erased and erect ar. grasping a pellet. Mottoes—Virtus in actione consistit, and Quid leone fortius. 2) (Newcastle). The same Arms, the cross engr. 3) (Adlington, co. Lancaster, extinct bart. Henrietta, dau. and heiress of Sir Richard Clayton, m. Gen. Robert Browne, second son of Robert Browne, Esq., of Browne’s Hill, co. Carlow, and her son now enjoys the estates). Ar. a cross engr. sa. betw. four torteaux. Crest—A dexter arm embowed, the hand grasping a dagger, the point to the dexter, all ar. Motto—Probitatem quam divitias. 4) (Crooke, co. Lancaster, 1664). Same Arms. Crest—An arm embowed vested sa. holding a sword point downwards ppr. 5) (Thelwall, co. Chester). (Thelwall, co. Chester). Modern Arms, same as last. 6) Ancient Arms—Quarterly, 1st and 4th, ar. ; 2nd and 3rd, gu. a fret or, in the first quarter a mullet sa. Crest—A naked arm embowed, holding a dagger, all ppr. 7) (Norfolk). (Norwich; Rev. William Ray Clayton, whose only child, Mary-Anna-Ray, m. in 1836, the Rev. Arthur Loftus, A.M., Rector of Fincham, co. Norfolk, second son of the late General Loftus, by the Lady Elizabeth, his second wife, dau. of George, first Marquess Townshend). Az. a cross engr. sa. betw. four torteaux. Crest—A unicorn couchant ar. maned, armed, and unguled or, under the dexter foot a bezant. 8) (Lostock Hall, Leyland, co. Lancaster). Same Arms, the cross charged with a lion pass. or. Crest—A dexter arm embowed in armour, the hand in a gauntlet grasping a sword in bend sinister, the point downwards ppr. pomel and hilt or, pendent from the wrist by a ribband an escutcheon gold, charged with a griffin’s head erased az. 9) (Enfield Old Park, co. Middlesex, originally of Yoikshire; derived immediately from John Clayton, of London, Merchant, who resided at Forty Hill, Enfield. His only son, Samuel Clayton, Esq., b. in 1690, purchased in 1735, Enfield Old Park). (Kettlewell, co. Essex). Ar. a saltire betw. four martlets gu. Crest—A dove with an olive branch in its bill all ppr. Motto—Quod sors fert ferimus. 10) (Little Harwood, and Lentworth, co. Lancaster). (Doneraile, co. Cork. Fun. Ent. of John Clayton, of that place, gent., son of John Clayton, Esq., of Thelwall, co. Chester, d. 1 July, 1637). Ar. on a bend sa. cotised gu. three roses or. 11) (Barnside, co. Lancaster). Ar. on a bend sa. three roses or, a crescent for diff. 12) (co. Stafford. Quartered by Sir Richard Byron, of Byron and Clayton, co. Lancaster, ancestor of Lord Byron. Visit. Notts). Ar. on a bend az. three annulets or, in sinister chief a cross crosslet fitchee sa. 13) (Harwood Parva, co. Lancaster, and Bushbury, co. Stafford; the heir m. Grosvenor, of Bushbury). Ar. a bend sa. betw. three mullets gu. 14) (Thomas Clayton, M.D., King’s Professer of Physic, Head Master of Pembroke College, d. 10 July, 1647, Guillim). Sa. an owl and chief indented ar. 15) (or Cleyton). (Sheffield). Ar. a cross sa. on a canton gu. a fleur-de-lis of the first. 16) Gu. a fesse indented ar. betw. three owls’ heads erased of the second. 17) Chequy gu. and or, two chev. sa. 18) Per pale az. and vert, a lion ramp. or. 19) (East Cliff, co. Lincoln; Nathaniel Clayton, Esq.). Quarterly, or and ar. on a cross nebulee sa. betw. four pellets a fasces fesse wise of the first. Crest—Upon the battlements of a tower a lion’s jamb erect and erased ppr. grasping a pellet, encircled by a wreath of oak vert. The surname is a locational one meaning “of Clayton”. It is a very common place name as various farms, manors, towns, and hamlets bear this name, particularly in counties Stafford, Sussex, and Lancaster. The surname is also strongly represented in the United States. One author claims it means “the clay hill”. It comes from the Old English word clǣġ (clay) and tun (enclosure). The Domesday Book of 1086 records other spelling variants: Claitone and Claitunea. 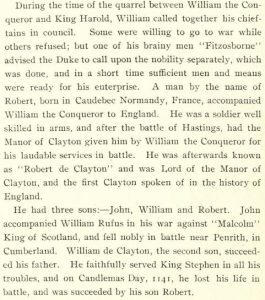 The Clayton’s of Lancaster descend from one Robert, who came into England with the Conqueror, and received Clayton in reward of his services. Early persons bearing this surname are Sewal de Clayton, Hamo de Cleyton, and William de Cleton, who were recorded in the Hundred Rolls (aka Rotuli Hundredorum) of 1273 AD, in counties Hertfordshire, Buckinghamshire, and Salop, respectively. Other notables include Henry de Claytone in county Lancaster during the reign of King Edward I, recorded in the Placita de Quo Warranto, and Robert de Cleyton in county Lancaster during the reign of King Henry III and Edward I, recorded in Testa de Neville, sive Liber Feodorum. A Willelmus de Clayton, of Clayton, Sara de Clayton, and Johannes de Clayton were recorded in the Poll Tax of Yorkshire in 1379 AD. A Jordan de Claiton was listed in the Charter Rolls of Yorkshire in AD 1191. Early marriages include Katherine Clayton to Arthur Bourchyer in London in 1570 AD, as well as Ann Clayton to Nicholas Easton, of Ipswich emigrated to Rhode Island, in 1671, and she later married Governor Henry Bull and died in 1708. The first person of this name who appears in the history of Virginia was the Reverend John Clayton, who had been Rector of Crofton in Yorkshire, and addressed the Royal Society of England in 1683 about the topic of Virginia and its soil and climate for the interest of agriculture. Another Virginian bearing this surname was Reverend David Clayton, the minister of Blissland Parish, in New Kent county, from 1702-1724. There was also a John Clayton, an Attorney General, who lived at Williamsburg. 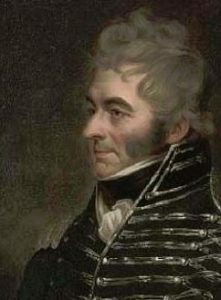 The family tradition is that Major Philip Clayton came to Culpeper from New Kent through Essex, who married Ann Coleman and had one son named Samuel. A one Captain Philip Slaughter was born in 1758 and was the grandson of Major Philip Clayton’s who lived at Catalpa. His father was Colonel James Slaughter who fought at Great Bridge in Virginia during the American Revolution. Early American settlers bearing this last name include Richard Clayton, who came from London to Virginia aboard the Paule in 1635. Other early settlers include Thomas B. Clayton (New York, 1812) and Francis Clayton (North Carolina, 1790). A famous Clayton in American history was Major Asher Clayton Taylor (1842-1922) was a brigadier general in the Army. He married Mary Jane Braningan. 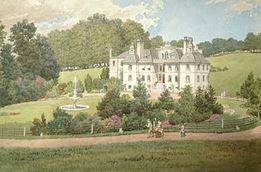 In his book, The Landed Gentry, Bernard Burke discusses two branches of this family: Clayton of Hedgerley Park and Clayton of Enfield Old Park. For the first branch, the first notable mentioned is Rice Richard Clayton (1798) was High Sheriff in 1838 and married Emily Nugent and had the following children: Richard Nugent (1833), George Augustus (1840), Edward Everard (1843), Francis Edmund (1844), Maria Augusta (died 1875), Louisa Maude (married Fraccis A. Hervey), and Emily Rosa. He was the fourth son of Sir William Clayton of Marden Park, Surrey and was M.P. for Aylesbury from 1841 to 1847. The family mottoes included Virtus in actione consistit, which means “valor lies in action”. Another motto is Quid leone forties. For the second branch, the first notable mentioned is Reverend John Henry Clayton of Enfield Old Park, Middlesex, who was the Rector of Farnsborough. He was born in 1809 and married Jane Bunn, the youngest daughter of George Sheppard, and had the following children with her: John Ernest (1841), Charles Cecil (1843), Reginald Byard Buchanan (1845), Sidney Stuart (1851), Horace Evelyn (1853), Janey Stuart, and Maud Lindsay. The lineage traces back to county York, and in around 1650, John Clayton settled in London as a Merchant and resided at Forty Hill. He married Mary Whiston, and had one son: Samuel Clayton who was born in 1690. 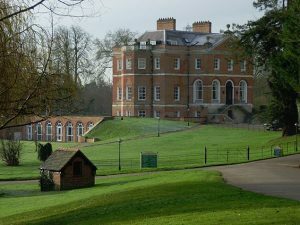 He married, in 1724 Elizabeth Collet and he purchased Enfield Old Park, a royal demesne in the time of Queen Elizabeth, near the Palace at Enfield. He died in 1749, leaving behind four children the eldest of which was Samuel Clayton (1727-1800). Samuel’s eldest son was John Clayton of Bath (born 1777) who married Jane Buchanan of Frodsham in Chester, and they had the following children: John Henry, William Ashley (1815), Arthur Thomas, Elizabeth Jane (1835), Emily Mary (1835), Emily Mary, and Mary Anne. In genealogists Bernard Burke’s book “Peerage and Knights”, the first notable mentioned is Sir Harold Dudley Clayton, the 10th Baronet, of Marden and Surrey who was a Lieutenant in the World War I in 1915-19. He was born in 1877 and succeeded by his kinsman in 1903. He married Leila Cecilia and had the following children: Arthur Harold (born in 1903 and fought in World War II and had children David Robert and Ann with Alexandria Andreeovsky), and Fitzroy Richard Henry (born 1907 which married Morwen Satow who had children Barry Drew and Ailsa). The family derives its lineage from the Clayton’s of Bulwick in county Northampton. Sir Robert Clayton (1629-1707) represented the metropolis for nearly thirty years in Parliament and was also Commissioner of Customs. He married Martha Trott. He was succeeded by his nephew, the first Baronet, named Sir William Clayton. The Claytons are among those who arrived in England after the Norman conquest led by William the Conqueror in 1066. This family settled in several different parishes, all of which were named Clayton, and in different counties such as Staffordshire, Sussex, Yorkshire, and Lancashire. As so happened with many last names in that era, the first time the surname Clayton appeared in the records was in the form of a couple of its spelling variations: Claitone and Claitune. These variations were found in the Domesday Book of 1086, a record commissioned by William the Conqueror in order to maintain a register of the owners of the lands. The first time this surname can be found in its definitive form, Clayton, is in the pipe rolls of Lancashire in 1263. The members of this family affirmed that they were descendants of a Robert who arrived in England with William the Conqueror and that he was given the lands of Clayton because of his distinguished service. Surnames were acquired by a landowner according to the location in which he had his lands; thus, the name of the village or land served as a surname for himself and his family. It often began when the inhabitants of that place would start calling the landowner by that name. During this time, it was very common for just one surname to have many different spellings, so it wasn’t rare for someone’s name to be written in many different ways in records, but they always referred to the same inhabitant. This happened due to several reasons – first, Middle and Old English didn’t have any spelling rules. Second, the arrival of several other languages with the Norman people after their conquest in 1066. Third, the use of Latin as the official language of the court in England, and finally, the fact that scribes in the Middle Age wrote words as they were pronounced. Due to all of these factors, a single name could have several variations, and in the case of the Clayton surname, these variations included Claydon, Clawton, Claughton, Claiton, Cleaton, Cleiton, and many others. This is a common name around the world. In fact, according to the census of 2014, Clayton is the 4,791st most common surname in the world, with 113,900 bearers. The country where it is most prevalent is the United States, and it has its highest density in Guernsey. Following the United States, the country in which Clayton is most common is England, where it originated. Although the Clayton surname had several spelling variations, bearers of this surname can be found in the records of that time. This was thanks to the many villages in which it was adopted; as a result, a lot of people used this last name. The earliest record of this surname was in regards to a Jordan de Claiton, who appears in a list from Yorkshire in 1191. Also, in the Hundredorum Rolls, there are records of Sewal de Claton in Hertfordshire, Hamo de Cleyton in Buckinghamshire, and William de Cletone in Shropshire. Finally, the Clayton surname can be found in the Yorkshire Poll Tax Rolls of 1379, in which Willelmus de Clayton of Clayton, Sara de Clayton, and Johannes de Clayton were listed. The history of this family begins after the Battle of Hastings in 1066 received the Manor of Clayton from William the Conqueror, thanks to the honorable services of the Robert who accompanied him. From this point on, he was known as “Robert de Clayton” throughout England. During his life, Robert de Clayton had three sons: John, William, and Robert. The first one was part William Rufus’ army and participated in a conflict against Malcolm, King of Scotland. During this war, John de Clayton died in the battle of Penrith, Cumberland. Therefore, his brother William de Clayton became their father’s heir. William served his King with honor, but also met the same fate as his older brother in battle. Then, the third son – Robert – succeeded them all. After inheriting Clayton Manor, Robert had a child, who he named after his brother, William de Clayton. William married Elizabeth Farringtou from Farrington, and they had three children. William died in 1152, and he was buried in Lancashire. His three sons were Richard, who later became a priest in Normandy, Thomas, who wasn’t a relevant character, and Robert de Clayton, who inherited everything. The aforementioned Robert de Clayton had four children: William, Robert, John, and Thomas. Three of them went to war alongside King John and met their death during the conflict. Then, John – the one who stayed behind – became the successor. John had two sons: William and Thomas, and died in 1209, so Thomas de Clayton inherited the Manor of Clayton Then, the family continued growing, and the deed of the manor passed from one generation to the next. After several unions, the Clayton family was united with the Mainwaring family through marriage. This other family had also arrived in England with William the Conqueror many years before, during the Norman Conquest. After the discovery of the New World, there was a big migration from Europe to America, and over time, the scale of this migration increased. It was not rare to see ships docking in the ports with hundreds of people from the old continent, which was how so many bearers of this last name reached America as well as other places of the world that were colonized. In the case of the Clayton surname, it was one that had many bearers who traveled to the American continent. Many of them reached the United States throughout the centuries. Notable Clayton settlers in the 17th century include Barnaby Clayton, who arrived in Massachusetts around 1628 and 1629, Tho Clayton, who settled in Virginia in 1653, and Richard Clayton, who settled in the same state but during the following year. There was a different Richard Clayton that also settled in Virginia in 1637, and some years later, Thomas Clayton settled in Austin, Rhode Island in 1650. The Claytons´ migration to the US continued during the 18th century, when William Clayton arrived in New England in 1714 and Francis Clayton settled in Wilmington, North Carolina in 1790. Throughout the next century, the Claytons kept landing in the United States; among them were Thomas B Clayton, who reached New York in 1812 at 20 years old, and California H. Clayton and F. Clayton, who both arrived in San Francisco in 1851. Canada was also a country that received Claytons over the centuries. So, in the 18th century, specifically in 1783, Mr. Clayton U. E. landed in Canada and settled in Carleton (Saint John City), New Brunswick. On the other hand Mr. John Clayton U.E. reached Charlotte County in New Brunswick, and Mr. Samuel Clayton U.E. settled in Saint John, New Brunswick. The initials in their name indicated that they were loyal to the British Empire during the American Revolutionary War, which was the reason that they had to leave their country. During the following century, the influx of Claytons to Canada didn’t stop, so there were even more of them reaching Canada at that time. Some of them were Isaac C. Clayton, arriving in 1841, John Clayton, who reached Nova Scotia in 1841, and TD Clayton, William Clayton, and J Clayton, who landed in Victoria, British Columbia in 1862 . Another country that also received many immigrants, including Claytons, was Australia. In this case, there were two convicts from England, James Patterson Clayton and George Clayton, who arrived in 1823 and 1824 respectively. Also, farrier Henry Clayton reached New South Wales at some point between 1825 and 1832. Two more convicts, William Clayton and Ann Clayton, both from England, arrived in Australia in 1831 and 1835 respectively. Grantees include Sir Robert Clayton, who was a Sheriff of London in 1671; Thomas Clayton, a Doctor in physics, Regius Professor at Oxford, and Master of Pembroke College, and his brother James. There is a long list of famous Claytons who have had successful roles in different fields, such as Sir Robert Clayton (1629-1707), who was the Lord Mayor of London from 1679 until 1680 and also a banker and merchant. Other notable Claytons include Bertram Tracy Clayton (1862-1918), a congressmen from the U.S. and an Army officer who died during WWI, and Christopher Clayton, a pilot of the Royal Navy during the Falklands War, who was later promoted to Admiral. There was a different Christopher Clayton (1869-1945) who was a scientist from England, an industrialist, and politician, and also a Joseph Clayton (1868-1943) who was a freelance journalist from England. 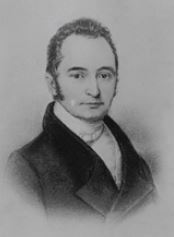 Thomas Clayton (1777-1854), was a U.S. senator for the state of Delaware, and Walter F. Clayton (1865-1942) was a politician from New York. Jack Clayton (1921-1995) was a British film director. Other notable bearers of this surname include Adam Clayton, the bass player from the band U2, another Adam Clayton, who is a football player from England, and Andrew Clayton, an English swimmer. And last but not least, Tom Clayton, an Australian jockey, and Mark Clayton (1961), an American football player who played in the National Football League. I can’t seem to find our coat of arms (Clayton ) . Ours has similar features but our “knight helmet “ is different plus we have two knights (which are different from each other ) .